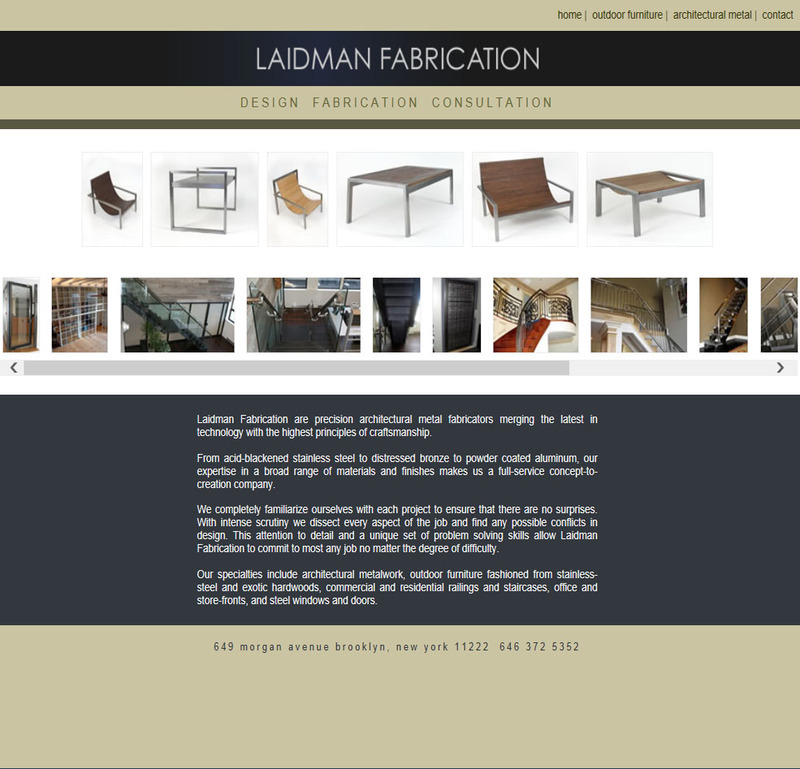 Laidman Fabrication are precision architectural metal fabricators merging the latest in technology with the highest principles of craftsmanship. From acid-blackened stainless steel to distressed bronze to powder coated aluminum, our expertise in a broad range of materials and finishes makes us a full-service concept-to-creation company. We completely familiarize ourselves with each project to ensure that there are no surprises. With intense scrutiny we dissect every aspect of the job and find any possible conflicts in design. This attention to detail and a unique set of problem solving skills allow Laidman Fabrication to commit to most any job no matter the degree of difficulty. Our specialties include architectural metalwork, outdoor furniture fashioned from stainless-steel and exotic hardwoods, commercial and residential railings and staircases, office and store-fronts, and steel windows and doors.